LHU MLK Day of Service volunteers at UPMC Susquehanna Lock Haven to pack and donate 60 Jared Boxes filled with toys, games and small gifts for young patients. 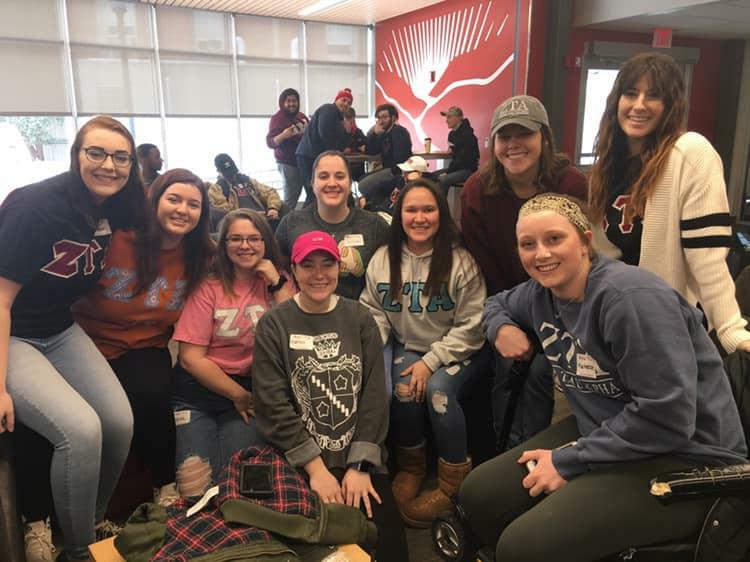 On Saturday, February 2, approximately 80 Lock Haven University students, faculty and staff celebrated the life and legacy of Dr. Martin Luther King Jr. by volunteering their time toward service and civic activities during the first LHU MLK Day of Service event. The day began in the PUB with lunch and introduction to the day’s activities by Kenny Hall, director of the Center for Excellence and Inclusion. “Connecting people to other people. And the opportunity to have continued relationships with community because this is where we live. Focus on unity because that was Dr. King’s dream,” Hall said. LHU President, Robert Pignatello, provided a welcome address before the volunteers disbursed to begin their day of service activities. 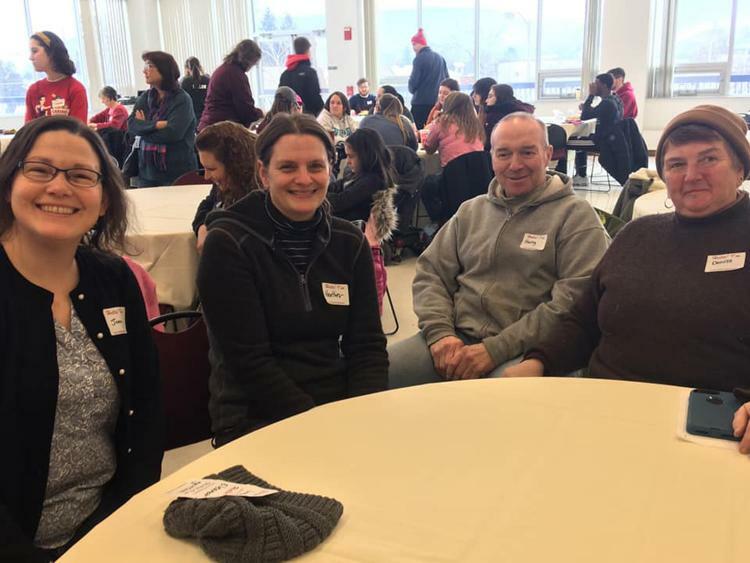 Pignatello and his partner, Amy Molyneux, joined a group of volunteers at UPMC Susquehanna Lock Haven to pack and donate 60 Jared Boxes filled with toys, games and small gifts for young patients. 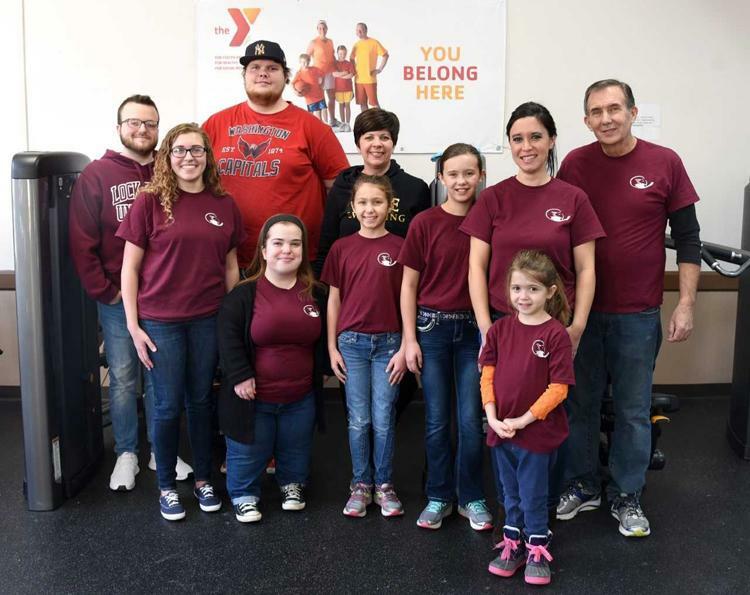 The LHU community offered their assistance to seven agencies in the community: American Association of University Women (AAUW), Circle K Jared Box Project, Clinton County Historical Society, Horses of Hope, The Life Center – Clinton County Housing Association and two YMCA locations. Volunteers also participated in creating cards of encouragement for residents at a local retirement community and painted kindness rocks (Haven Rocks) that were placed throughout the community.